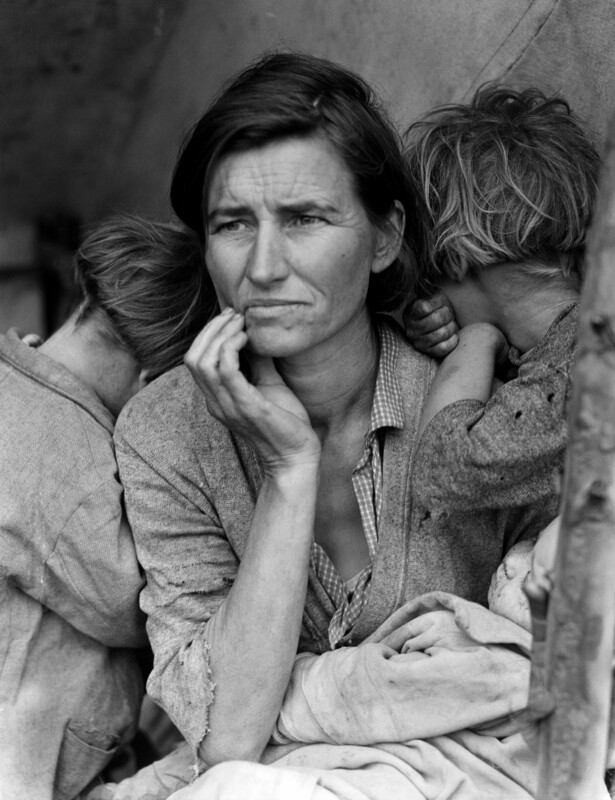 There is a show tonight on PBS you don’t want to miss — American Masters: Dorothea Lange: Grab a Hunk of Lightning. Dorothea Lange remains one of the foremost American photographers. Her work for the Farm Service Administration during the depression chronicles a time most would like to forget, but she brings a humanity to her subject that is irresistible. The movie was created by Dyanna Taylor, an Emmy award winning film maker who is also Lange’s granddaughter. Much of the research was provided by Elizabeth Partridge, the granddaughter of Imogen Cunningham, a contemporary of Dorothea’s and a great photographer in her own right. Dorothea was 24 and headed out to travel around the world with a girlfriend when their money was stolen in San Francisco and they had to stop and make a living. She befriended Cunningham, opened her own photo studio, and the rest is history. The movie is great–I kn\ow because the world premier was last Saturday at the Oakland Museum and I got lucky and snagged a couple of seats. Dyanna and Elizabeth were there to answer questions after the show, and it was fascinating. Much of the movie centers on the preparations for Dorothea to have the first one-woman show of photography at the Museum of Modern Art in New York, and we get to see her as artist and just as a person facing life’s greatest problem. It’s on PBS tonight at 10 pm, and sure to be re-run many times. Don’t miss it.